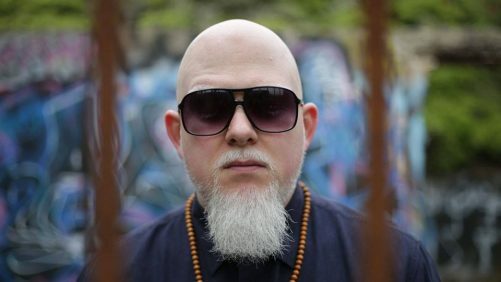 Minneapolis-based hip-hop artist Brother Ali celebrated fifteen years since the release of his momentous sophomore album Shadows On The Sun, last year, touring throughout the U.S. to mark the anniversary. So warmly-received were his anniversary shows that his tour has extended into 2019, seeing the conscious rap artist — known for his ‘personal, socially conscious, and inspiring’ lyricism — head to Band on the Wall on Saturday 16th March. Ahead of the show, here is a five track introduction to the work of Brother Ali. The self-deprecating humour Brother Ali deploys on Forest Whitiker — one of his earliest hits and still a fan favourite — is at odds with the bravado of mainstream or gangster rap of the era. His lyrics capture a happy-go-lucky aspect to his persona, encouraging the listener to feel great about themselves by way of his example. With over 10 million Spotify streams, it’s clear that the track is one people have returned to time and again for inspiration, or that feel good reassurance it provides. Fellow Rhymesayers Entertainment artist and Minneapolis native Slug features on this Shadows of the Sun cut, going back and forth with Brother Ali toward the end of the insanely well-produced track, which features that distinctive woodwind lick from Eddie Harris’ 1969 cut Ballad (For My Love). Their exchanging blows are cutting and perfectly formulated, yet neither artist gets flustered. They’re serious hip-hop professionals rolling with the punches and dishing out some genius lines. Ali’s scathing assessment of institutional racism and the U.S. government almost landed the rapper in hot water back in 2007, but what backlash there was only seemed to reinforce the weight of his lyrics. In an interview with Esquire at the time, Ali said of unchecked power in the U.S. government: ‘They’re brash about it — and they don’t care how it looks. There was really no good reason to go into Iraq. The average person knows that, but they kind of move on. The light bill comes, and the mortgage bill comes and you move on. The frustrating part is how little the public cares, and I’m guilty of it too’. With peace and fairness as his motivation, Ali cooly penned one of the best political hip-hop tracks you’re ever likely to encounter. Sampling the fuzzy wah-wah guitar from Barry White & The Love Unlimited Orchestra’s You Gotta Case, Little Rodney swaggers like a psychedelic P-Funk classic. The song encapsulates Brother Ali’s faith in Islam, with a prayer leading into its opening verse. The track also addresses incarceration, particularly the failings of the U.S. prison system, with lyrics like “It’s madness that you speak of innocence and guilt, in a prison that was built just to generate some wealth”. Never one to shy away from serious subject matter, Brother Ali rhymes candidly about mental health and suicide on the penultimate cut from his last studio album. As ever, his lyrics capture his observant and thoughtful nature and despite the weight of the subject, the track has a positivity to it – the act of exploring the darker subject matter leading to a brighter outcome.